Conway's Game Of Life – 2 blinker system. New Year’s resolutions fascinate me. To borrow a geeky math term: local maxima. We all intuitively know we get stuck in sub-optimal points in a multidimensional space, ∈ The Human Experience. In other words, if you define living as growing, repetition and stagnation are the death of us. We, societies the world over, have converged on a strategy of giving ourselves collective permission to try new strategies, once a year. 1)A wise friend once quipped: make a lot of resolutions! Like ten. Sage advise. Her joie de vivre, inspiration for the past year. Blink. Blink. Screw all that. 2)Welcome to my corner of the internet: a CentOS box, floating in the DigitalOcean. One of the perks of setting up your own printing press, you can say whatever you want. Thanks WordPress. I had a whole year ahead of me. Having worked at Facebook for almost five years, one thing I learned: ship fast, and ship furious. 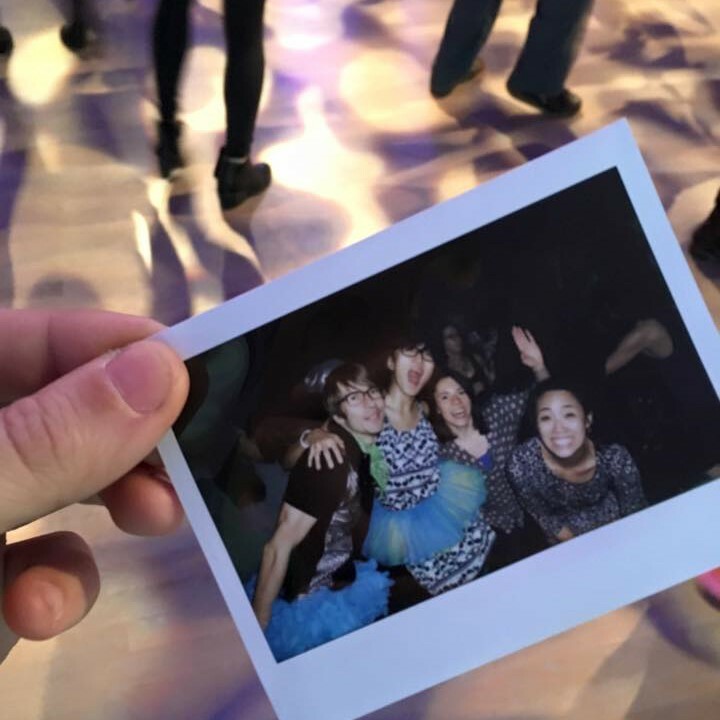 On February 26th 2016, I quit my cushy – albeit way too stressful – corporate job, and excitedly embarked on the path of unknowns. My only compass, start A/B testing habits. Try them on for size, see how they fit, cull aggressively. Repeat. Ship more than once a year. 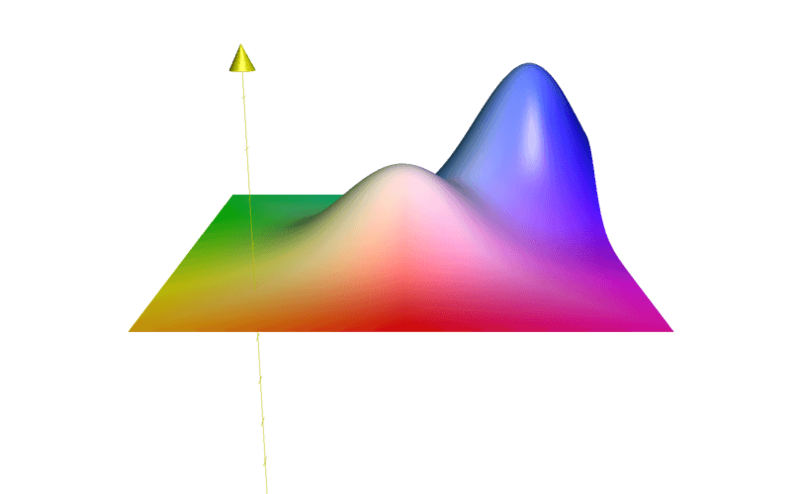 Surface with two local maxima. If a hill-climber begins in a poor location, it may converge to the lower maximum. 2016 was the initial take. I decided to give each new endeavor up to a month investment, then decide whether to keep or jettison. If you’re expecting twelve experiments, let me be upfront now. I got horribly side tracked in the later half of the year (e.g. breakup, US elections, relocation.) Think butterfly flapping its wings, and the chaos that might ensue. Now imagine a human, with flailing arms. 3)My sincerest apologies to all I may have accidentally whacked. Life, a chaotic system based on simple rules, when forced into change, completely unpredictable. Still, I’m very bullish on the spirit of this endeavor – it resulted in one of the largest growth spurts of my life. Life is short, and I opted for maximal effect. These experiments were not performed independently, nor did I isolate all variables. E.g. Time. I did not clone myself and run true A/B tests simultaneously. Experiments in nutrition, fitness, and cognition all had feedback effects. If your intent is maximal change, a great triplet to consider together. As you can see by the start month, I front-loaded. Time is your most precious commodity. Whilst perhaps a seemingly boring place to start, little things add up – having just launched Instant Articles, I have first hand experience. I decided to try and speed everything up. If you live in SF, I highly recommend MonkeyBrains. If your space is bigger than what one WiFi base station will support, and you find yourself manually switching between networks when they fall out of range, try Luma. 4)The last thing you should do is extend range on a network. Though it’s an option from most manufacturers, it seems to universally degrade performance – often substantially. Luma, and a number of new upstarts, finally deliver on promise. 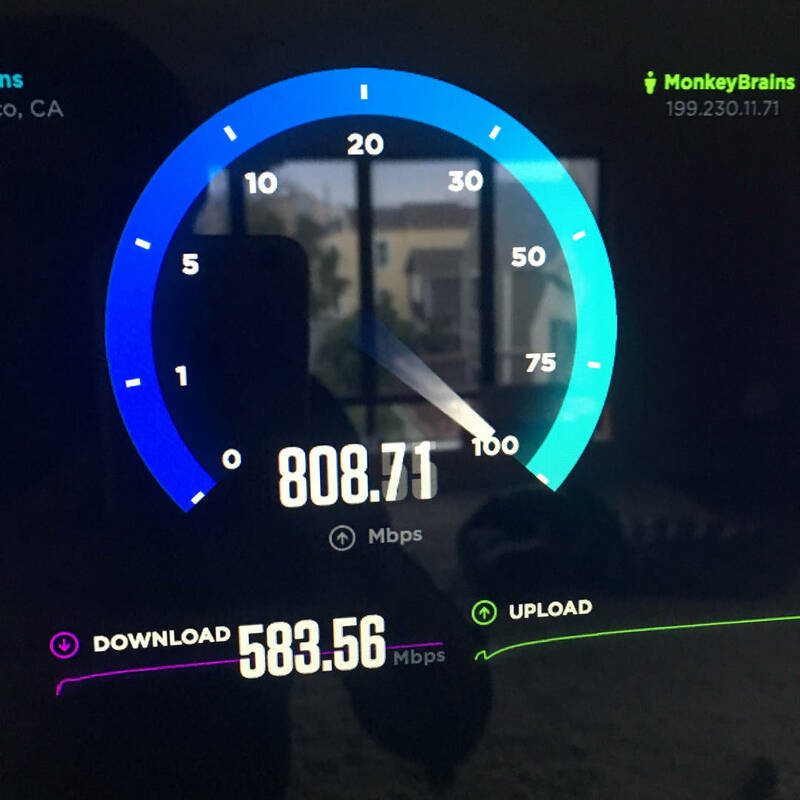 Monkeybrains connectivity after backing their Gigabit Wireless Indiegogo campaign. More general advise, periodically check in with your ISP – make sure you’re on the latest plan, using the latest modem and software. It behooves you to also periodically shop around. My dad lives in Greece. In debugging his internet connection, and our continued dropped FaceTime calls, I realized he was simply on an outdated plan. He now pays a few € less per month, for 3x the bandwidth – no more dropped FaceTime calls. High level, there are two types of e-mail users: those that let email pile up, and those that strive for a zero inbox. I desperately wanted to get better at my personal correspondence, and so, for the first time, I decided to try out a zero inbox lifestyle. Simply transitioning took a number of days, and false starts. I knew I wanted to try Inbox by Google. The biggest hurdle was converting my iCloud Mail account to a Gmail account. After a few failed attempts of manually dragging messages – my mailboxes were big enough, and included pathological test messages from a past life as an Apple Mail engineer 5)Having worked on Mail.app during the MacOS X 10.4 and 10.5 days, no longer using it was an extra emotional hurdle to clear. Turns out, this year would be an exercise in letting go. One of the easiest hurdles. – that was not happening. I paid for YippieMove, which copies emails from server to server, and a few days later, I had all my email in Inbox. After getting to zero – bulk archiving all past email is your friend – and staying at it for a number of months, I can tell you it’s amazing. Zero is brimming with potential.6)If you were to believe numbers had a symbolic meaning, zero does pretty well. The Vibration and Meaning of Numbers : Number 0. My personal correspondence was at 100% for at least half of the year. It also just feels nice – like having a clean room. With incentive to clean your room, on a very regular basis. Note: the rating is for the experience, not my overall performance across the year. I was most excited for this experiment. Inspired by the Radio Lab podcast Gut Feelings, I listened to this episode and was floored. Did you know that 85% of the serotonin in your body is in your stomach? Or that two weeks of daily yogurt eating correlates to the same lifts in mood as a prescription of Prozac? I was determined to eat Greek Yogurt for breakfast, every day for a month. There was no turning back. Yogurt is quick, and easy. It serves as an excellent delivery vehicle for anything else your body is craving: fruits, nuts, granola, cacao. It’s hard to empirically quantify my levels of serotonin, but subjectively, starting with yogurt, I watched all sorts of other eating habits change. I lost the desire to drink coffee every morning, I no longer had a craving to mix myself a cocktail by evening. Yogurt keeps well in the fridge. From a sheer practicality perspective, this is a keeper. 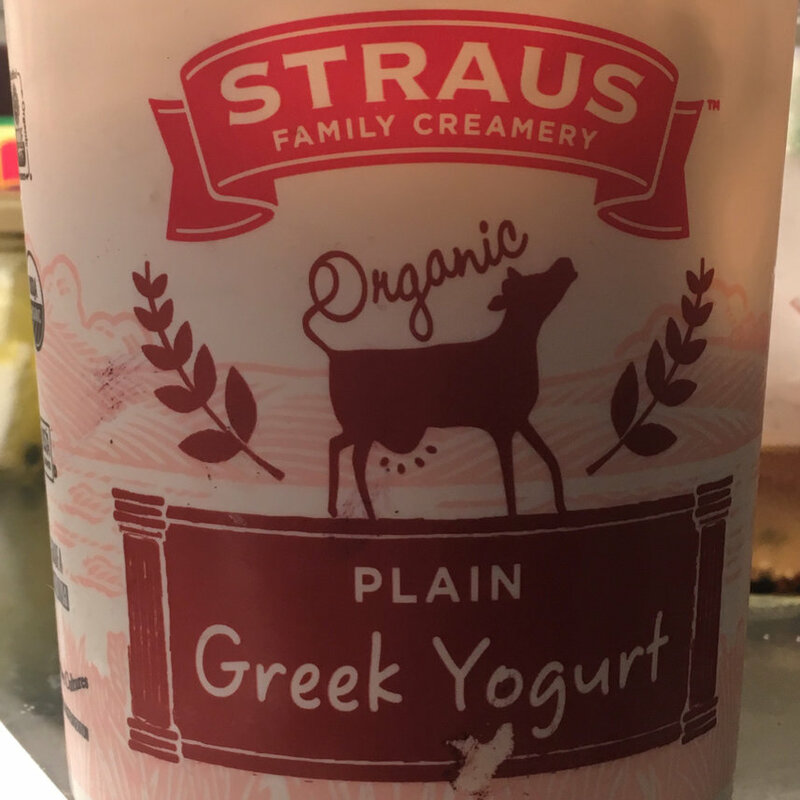 Straus make some of best tasting Greek Yogurt. That's coming from a Greek. For the more advanced practitioners, I later learned that tap water may undo some of the benefits of eating a probiotic rich diet – the chlorine does too good a job of killing all bacteria. 7)A list of toxins that may be in your public water supply. Experiment away. This was one of the funnest and most rewarding experiments; an exercise in listening to your body, and what it needs that day. One way or another, you’re paying for your news. Having worked on Instant Articles, for the last year and a half at Facebook, I was acutely aware of publisher’s ad-driven business models. Intuitively, if you are what you eat, perhaps you think what you read. That was my gut speaking. This specific experiment involved introducing pay for news sites – ones that show up on my credit card – into my daily news reading habit. Nobody wants more recurring expenses, and yet some people found these pay for news sites valuable – they exist.8)The whole finance industry is predicated on the Bloomberg Terminal; a news service, that as of writing, costs $20,000 per year. There was an appeal in the directness and transparency of the value exchange. I paired my ten+ mac related sites – that had accumulated over as many years – down to two, and added two pay for news sites in my industry: The Information, Stratechery 9)I also peppered my friends, for their favorite daily news sources, and added two more: MIT Technology Review, Science Daily. Ten months later, and I am still a paying subscriber of both. If I had to choose one, it’d be Stratechery. We need more independent bloggers. Ben Thompson’s post on Aggregation Theory – the foundation of many of his arguments, and currents at play in the world at large – as well as follow up post on The Real Problem With Facebook and the News, worth it alone. In 2016 I ended up paying for a lot of news, mostly due to the US election, and mostly with my time. I now believe that technology, media, and politics are complex systems that have converged, or are in the process of converging, into oligarchies. When you follow the inter-connections between the handful of players in each of the three industries – dominant in their own rights – the findings can be concerning. This led to all sorts of revelations, the foundations with which I used to predict the US election results. See Mind the Bubbles for more. When you’re looking for clues, it’s good to revisit past habits that worked. Running saved me in high school. After a rather protracted spell of depression, it got me outside, I lost weight, girls took interest. Yoga came at just the right time post college. I vowed to do a lot more of both, and in particular, get back to a book on Yoga that had been my faithful, and daily, companion one summer – I remember never having felt better. Interestingly, this experiment generalized into making time, on a regular basis, to be with, and listen to my body. Yoga, running, jumping rope, tight rope walking, biking, swimming, dancing, at one point or another over the year, I got really into each of them. If you’re considering improvements to fitness, most important, listen to your body – the experience, and corresponding journey, very personal. For me, as a rather inflexible male, it started with Richard Hittleman’s Yoga: 28 Day Exercise Plan. 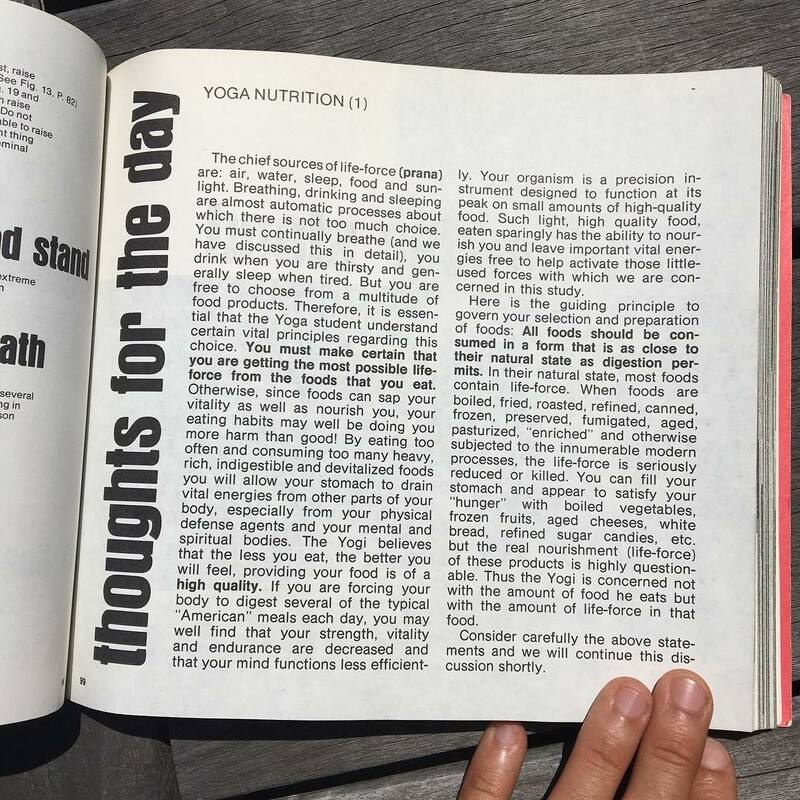 A sample page from Richard Hittleman's book illustrates the interplays between Yoga and Nutrition. I knew this would be a keeper – but as with all ephemeral states of being, it’s hard to imagine, and for some reason equally as difficult to remember, just how good you can feel. 10)Revisiting this book 15 years later with an eye for product design, I was in awe at the sheer amount attention to detail. Even the page numbers are out of sight, unless you effort at seeing them. This started me on my year long journey of physical fitness. Once more flexible, I decided to strengthen my arches. Orthotics have simultaneously supported and plagued me – anytime I switched to sandals, or otherwise didn’t wear them, I would within hours suffer excruciating back pain – since high school. I switched to zero drop shoes, adopted a regiment of jump roping to strengthen my arches, and within a week, had re-learned how to walk.11)It was a trippy week. Begone orthotics. I played with strengthening my non-dominant left side, explored ways of working the fascia, I tried Yin Yoga for the first time, and continued on the quest for anatomic correctness. Most recently, in the last month or so, a new back pain appeared in my upper right shoulder. In fact, I believe it’s been there all along, simply masked by other pains – insight into how the mind and body might work. I also had become acutely aware of another stuck vertebrae.12)I had self-unstuck a vertebrae a few months prior, unlocking a whole quadrant of spine mobility I never had. With it came a flood of emotions, as well as realizations over misunderstandings where I had simply not been able to seen the other person’s point of view. A friend, seeing me wreathing in pain trying to sit still on a couch, referred me to her Berkeley chiropractor. My first session, unbelievable. Within 45 minutes, the pain in my shoulder was gone. Dr Ziegler debugged it through my stuck vertebrae, a misaligned pelvis, and in turn, two feet that were out of socket. Complex systems indeed. He seemed convinced I had, at some point in my life, sprained both ankles. Possible, yet all I could offer up was that I was a runner. He looked at me and said: “You know, not everybody is born a runner. You, you might want to consider riding a bike.” Another example of local maxima. Even after being advised by a professional against one of my favorite pass times – ever – I left, walking on clouds. It was as if, I could think clearly for the first time.13)Dr Ziegler also confirmed my own wild mind <-> body connection experiences 14)He also had a fancy word for it, which I will update here after my follow up visit., including where by an increase in physical range, can result in an increase in emotional range. Meditation has been something I’ve been meaning to try since that first Yoga book. On the last page, on how to further one’s practice, it suggested meditation. Back when I was 22, I figured that could wait. By 35, and with a bridge year ahead of me, I had no more excuses – I was going to try it, at some point. My first week off, coming from a yoga morning dance party, heading to my optometrist – all the things you neglect when working a high pressure job – my Russian Uber driver and I having bonded over funny names, noticed my attire, and upon hearing I had a practice, came out to me. He was a Raja Yogi himself. Over coffee, he later revealed, also ex-KGB. Morning yoga dance party. Learn to savor every moment. With enough signs from the universe, the following week, I started on Headspace. This was the first experiment that was challenging to stick with. Is anything happening? What is supposed to be happening? Isn’t there something better to be doing with my time? That was my monkey mind speaking. I’m glad I gave it the full month. Graduating from headspace, I’ve now tried a variety of guided and un-guided meditations. The trials can be hard. Be prepared to think scary thoughts, deal with repressed memories. Meditation also feels like cleaning your room, where the room, is your mind. The rewards, know, commiserate to the effort you put in. By simply spending more time with yourself, in solitude, you can feel calmer, more productive, even creative. As you begin to better understand your self, patterns emerge. With each new facet of self-understanding, you better understand the world, and everyone around you. People have more in common than you may think. If there was a keystone experiment, this one is it. There’s a theory that human’s are naturally polyphasic sleepers; that modern society, and our schedules, have turned us monophasic.15)For an example of an existing biphasic society, look to Spain and their culture of siesta. I had read about alternate sleep schedules, and their promise of time savings, many years ago16)These Alternative Sleep Schedules Could Save You 20 Years Normally Spent In Bed. – as a hyper-productive individual, worth knowing all your options – but the barrier to entry, and sheer will power required, seemed daunting. At some point during my meditation practice, when I upped my sessions to 30 minutes, and started meditating three times a day, something very unexpected happened. I naturally fell into the Everyman schedule. I would go to sleep at 10pm, and wake up at 2am, feeling completely refreshed. That’s four hours of sleep. 17)Monks, from Tibet to Greece, prey three times a day, and also only sleep four hours a night. There is so much we still don’t understand about sleep. Only caveat, I needed to meditated three times a day. I could not miss a session. This worked great for weekdays where I set my own schedule. I had three waking days – six hours each – in lieu of one. I never felt tired. A restorative meditation, or night sleep, was always hours away. Conversely, I also felt infinitely productive. Especially in contrast with how often I used to need to caffeinate, simply to function. 18)During this time, I came up with 3-4 different business plans, all of which I consider good ideas to this day. Alas, how quickly the world changes. Perhaps no longer the most significant efforts. It’s also kind of cool to know how to sleep while awake. It certainly makes long airplane rides less boring. The issues came on weekends. One of the most defining memories of this time was a visit from my brother, his wife, and my baby niece. While on an excursion to the newly opened MOMA, my first time ever, and in the middle of our visit – it was 2pm and I had skipped my noon meditation – I simply had to find a corner to stash myself into. Think dizziness, on the brink of collapse, akin to anvils pilling up on your head. Half an hour later, after a deep meditation, I jumped back up and was fine. Thank you family for being so understanding. My Facebook feed – a primary news source for most US adults – is an anomaly. Because of Instant Articles, I followed every publisher that signed on to the program, regardless of political affiliation. In the run up to the US election, when I started seeing the stark discrepancy between sides, I followed all the trails.19)Pay For News and some of the side effects of Aggregation Theory. I grew concerned.20)This is an understatement. Putin, on Russian TV, had declared that a Clinton victory would be a declaration of war. Sure, perhaps he was bluffing, or perhaps it was all faked. At the time, I genuinely thought we might be choosing between WWIII, and a Trump presidency – what a cruel Catch 22. Unsure what to do about either calamity, I simply corralled as many of my friends as possible to an idyllic Hawai’ian retreat center for election week. At least we’d have a nice view. The mainstream US media, on average and as a whole, leans left 21)To intuitively arrive at this conclusion, simply consider the US electoral map. Cities lean left, and most mainstream media stems from urban centers. Consolidation of printing presses due to Aggregation Theory has caused a decrease in diversity of opinion being represented in mainstream media, and conversely, more disenfranchised people. Nobody else in my feed was seeing what I was seeing, and the more the left tried to cover up or suppress news that might be damning, the more likely a Trump victory seemed. I started sharing right-leaning articles, into my primarily-left leaning feed. It deserves to be noted, my intention here did not start off as an experiment. This started off with me deeply distressed, simply wishing others could see what I was seeing. 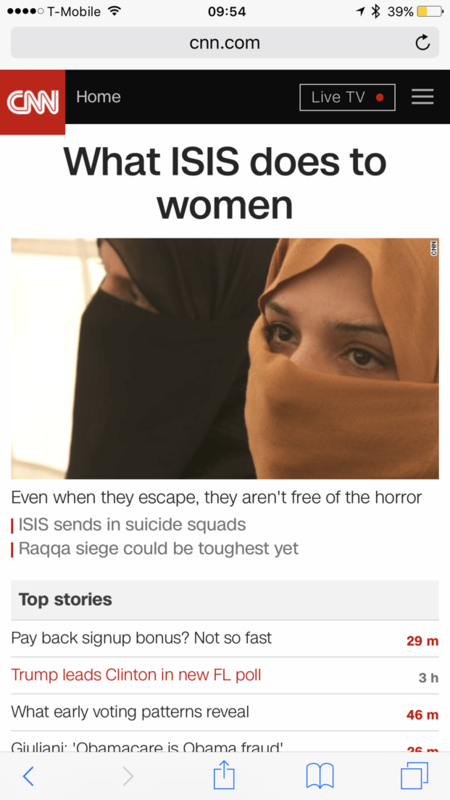 I hoped that if others had a more balanced news feed, they too would feel more empathetic for the other side. Possibly even reach the same conclusions. CNN buries trump lead in key Florida poll. Turns out, people are really happy in their bubbles. They need to want to be exposed to alternate points of view, otherwise, you’re simply the messenger – and likely to get shot. Some friends lashed out, others tried to help me by referring me to their therapists, most ignored me. A handful, in private, congratulated me for having the courage to speak out 22)Thank you for the support. This wasn’t an easy time, as the rest of the liberal populace would soon find out. I took some solace in Steven Hawking, Jon Steward, and even the mainstream joining my ranks weeks later, similarly criticizing media and the established political left.23)This is the most dangerous time for our planet, Jon Steward criticizes ‘hypocrisy’ on the left over Trump voters, Jon Stewart: The American media has become an “information-laundering scheme”, Mark Zuckerberg is in Denial, Bursting the Facebook bubble. Still, the overall experience, pretty traumatizing – and conversely, fodder for growth. In reality, there will always be bubbles. It’s on us to be cognizant of the bubbles that surround us, and if we so choose, climb out of them. The experiment has been named to reflect the learning. Silver linings, emerging out of some of my own bubbles, liberating. In the otherwise painful train wreck of an election, I reconnected with old friends, and made a handful of really awesome, equally as inquisitive, new friends. There were people all around me that already knew not to rely on CNN, and other mainstream media, as their primary news sources.24)Many people, from friends to celebrities, have since come out in favor of quitting news, and social media, all together. I tend to concur. Certainly worth trying. 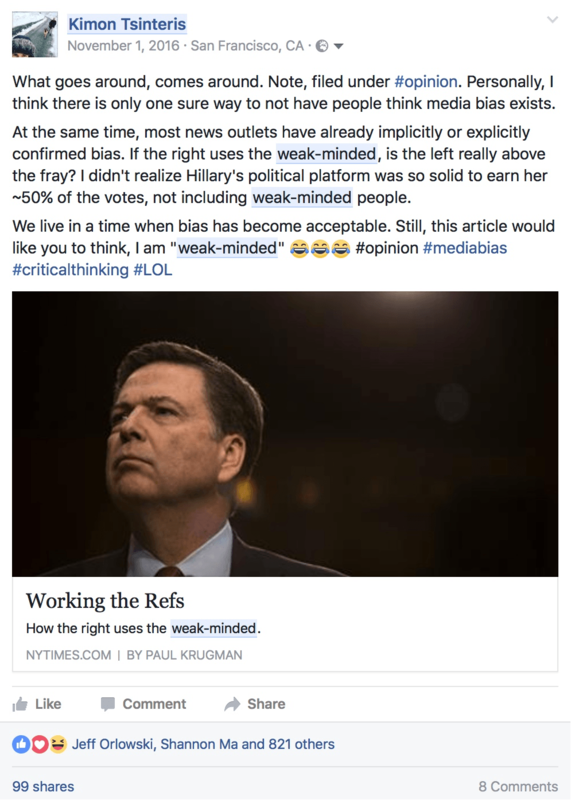 Pointing out a logical fallacy, and clear left-leaning bias, in a New York Times article resonated. And my largest ever single investment – in Bitcoins, the morning of election day – proved, handsomely rewarding. When in doubt, secure your assets. 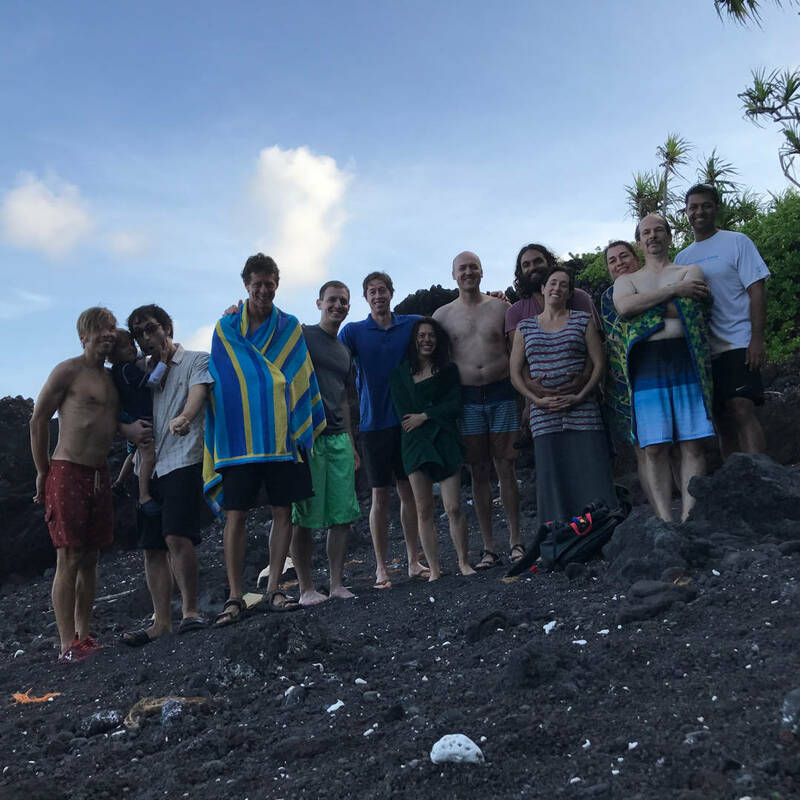 Hawai'i destination offsite during week of US elections. Left-leaning mainstream media oozes condescension for people of differing opinions. Bitcoin becomes a financial safe haven amongst widespread geopolitical uncertainty. The power of the environment kept resurfacing as a theme in 2016. Quitting my office job certainly made room for a wealth of new experiences. When I tried to coax more friends into trying on a life of experimentation, the general answer was, my environment isn’t conducive enough. While always a matter of degree, there is of course truth to this. I decided to use my last remaining time and energy of 2016 to setup 2017 with an even bigger experiment: a new home base on the island of Hawai’i. Keep in mind, even though a tropical paradise, most mainlanders that attempt the move, don’t last a year. Hence, an experiment. I’m starting now, and will report on at the end of the year. 2016 was my first ever bridge year.26)Formerly known as ‘gap’ year. If you think about it, the term ‘bridge’, way better. I started off with a simple idea, explore the power of habits, the subroutines we run in our daily loops. In my life, I could already point to two habits (running, yoga) that each, at different points in my life, resulted in step function changes in physical and emotional fitness, greatly increasing wellbeing. I wanted to try a third: meditation. I’ve also long believed in emergence, 27)For a classic example, life as studied in biology is an emergent property of chemistry. See Wikipedia: Emergence. and was interested to see what other effects might arise. The results were wild. While each experiment was interesting on its own, it was the unintended, and often unexpected consequences, that I now look back and appreciate the most. In this year alone, I kicked a thrice daily habit of drinking coffee, a nightly habit of making myself a cocktail (or two), stopped biting my fingernails28)As a former fingernail biter, let me try to explain. You have no idea why you’re doing this, you can’t help yourself. And it’s saving you some minuscule amount of time. Perhaps it’s okay., solved long plaguing issues with my weak arches and in constantly in pain back, learned to enter deep sleep while awake, and experienced life as a polyphasic sleeper. These are all things, that had I pursued directly, from a top down approach, would have required a lot more will power. It also wouldn’t have been nearly as fun. I couldn’t help but become fascinated with the mind body connection. 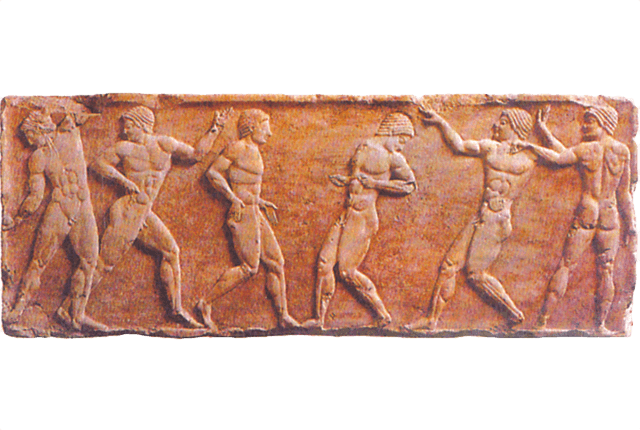 There was a saying in Ancient Greece – “Νοῦς ὑγιὴς ἐν σώματι ὑγιεῖ” (healthy mind in a healthy body) – that formed the basis of the Athletic Ideal and permeated culture.29)Olympic Athletic Ideal, A Healthy Mind In a Healthy Body. Their contributions to modern day society, and statues, certainly attest to both. Perhaps this wasn’t a coincidence. It also begs the question, what other wisdom has been lost across the ages. 30)How Walking in Nature Changes the Brain, Why One Neuroscientist Started Blasting His Core. A strange feeling of being at the right place, at the right time, also emerged. From improved parking karma, to being ushered into a media-only event at Standing Rock, to the baby blue expedition-ready, diesel, 4×4 Westfalia of my dreams, waiting for me on craigslist, the very first day I browsed. Something certainly feels improved. It’s become a fun game. Go through life, expend the least amount of effort, effect change. Not everything went smoothly. Self exploration and experimentation is a deeply personal endeavor. No amount of coaxing friends and loved ones to join you is effective. It was an overwhelmingly lonely year, likely necessary for a successful journey. Still, on the path, you learn you’re not truly alone. Life is simply a collection of experiences. Like any game, perhaps it’s beneficial to collect as wide an assortment as possible. One can only look forward, and be grateful for their past. No collection of experiments would be good without some cold hard metrics. As much as this year has taught me to eschew labels, and climb out of boxes, my best attempt at capturing the overarching change of 2016 is the Meyer’s Brigg Test. I started the year an INTJ – and have been since first measured at Apple, circa 2005 – and close the year an ENFP (E:22%, N:59% F:53% P:6%). The three letters I wished I could change about myself – my aspirational ideal – have all changed. In a year. 31)Jung Typology Test. I’m still digesting these findings. Clearly it points to how much we all have in common, and how malleable, and adaptable, we truly are. I’m starting off 2017, brimming with eddies to explore. High level themes, feeling drawn to: energy, healing, music, math, quantum physics32)In 2016, we treated ourselves to experimental proof of entanglement. The math also finally worked out. We may exist in an 11 dimentional multiverse, after all. For fear of getting ahead of myself, here is a fun visualization of 10 of them., spirituality, travel. We clearly live in a highly dimensional space, and the path upwards, unpredictable – making room for the unexpected twists and turns along the way.33)Amusingly, my new home base’s internet, rather pokey. Must avoid local maxima. I already have some longer than month projects that I’m excited about – relocating, obviously one of them. Changes to the meta strategy: Slowing down. I’m ditching the notion of short term experiments, focusing more on longer term, passion projects. I’m keeping the notion of holding myself accountable to a time period of intense devotion, followed by reflection. Expect more frequent blog posts! Wishing you success in all your future endeavors, and continued learnings. 1. ↑ A wise friend once quipped: make a lot of resolutions! Like ten. Sage advise. Her joie de vivre, inspiration for the past year. 2. ↑ Welcome to my corner of the internet: a CentOS box, floating in the DigitalOcean. One of the perks of setting up your own printing press, you can say whatever you want. Thanks WordPress. 3. ↑ My sincerest apologies to all I may have accidentally whacked. 4. ↑ The last thing you should do is extend range on a network. Though it’s an option from most manufacturers, it seems to universally degrade performance – often substantially. Luma, and a number of new upstarts, finally deliver on promise. 5. ↑ Having worked on Mail.app during the MacOS X 10.4 and 10.5 days, no longer using it was an extra emotional hurdle to clear. Turns out, this year would be an exercise in letting go. One of the easiest hurdles. 6. ↑ If you were to believe numbers had a symbolic meaning, zero does pretty well. The Vibration and Meaning of Numbers : Number 0. 7. ↑ A list of toxins that may be in your public water supply. 8. ↑ The whole finance industry is predicated on the Bloomberg Terminal; a news service, that as of writing, costs $20,000 per year. 9. ↑ I also peppered my friends, for their favorite daily news sources, and added two more: MIT Technology Review, Science Daily. 10. ↑ Revisiting this book 15 years later with an eye for product design, I was in awe at the sheer amount attention to detail. Even the page numbers are out of sight, unless you effort at seeing them. 11. ↑ It was a trippy week. 12. ↑ I had self-unstuck a vertebrae a few months prior, unlocking a whole quadrant of spine mobility I never had. With it came a flood of emotions, as well as realizations over misunderstandings where I had simply not been able to seen the other person’s point of view. 13. ↑ Dr Ziegler also confirmed my own wild mind <-> body connection experiences ((He also had a fancy word for it, which I will update here after my follow up visit. 14. ↑ He also had a fancy word for it, which I will update here after my follow up visit., including where by an increase in physical range, can result in an increase in emotional range. 15. ↑ For an example of an existing biphasic society, look to Spain and their culture of siesta. 16. ↑ These Alternative Sleep Schedules Could Save You 20 Years Normally Spent In Bed. 17. ↑ Monks, from Tibet to Greece, prey three times a day, and also only sleep four hours a night. There is so much we still don’t understand about sleep. 18. ↑ During this time, I came up with 3-4 different business plans, all of which I consider good ideas to this day. Alas, how quickly the world changes. Perhaps no longer the most significant efforts. 19. ↑ Pay For News and some of the side effects of Aggregation Theory. 20. ↑ This is an understatement. Putin, on Russian TV, had declared that a Clinton victory would be a declaration of war. Sure, perhaps he was bluffing, or perhaps it was all faked. At the time, I genuinely thought we might be choosing between WWIII, and a Trump presidency – what a cruel Catch 22. Unsure what to do about either calamity, I simply corralled as many of my friends as possible to an idyllic Hawai’ian retreat center for election week. At least we’d have a nice view. 21. ↑ To intuitively arrive at this conclusion, simply consider the US electoral map. Cities lean left, and most mainstream media stems from urban centers. Consolidation of printing presses due to Aggregation Theory has caused a decrease in diversity of opinion being represented in mainstream media, and conversely, more disenfranchised people. 22. ↑ Thank you for the support. This wasn’t an easy time, as the rest of the liberal populace would soon find out. 23. ↑ This is the most dangerous time for our planet, Jon Steward criticizes ‘hypocrisy’ on the left over Trump voters, Jon Stewart: The American media has become an “information-laundering scheme”, Mark Zuckerberg is in Denial, Bursting the Facebook bubble. 24. ↑ Many people, from friends to celebrities, have since come out in favor of quitting news, and social media, all together. I tend to concur. Certainly worth trying. 26. ↑ Formerly known as ‘gap’ year. If you think about it, the term ‘bridge’, way better. 27. ↑ For a classic example, life as studied in biology is an emergent property of chemistry. See Wikipedia: Emergence. 28. ↑ As a former fingernail biter, let me try to explain. You have no idea why you’re doing this, you can’t help yourself. And it’s saving you some minuscule amount of time. Perhaps it’s okay. 30. ↑ How Walking in Nature Changes the Brain, Why One Neuroscientist Started Blasting His Core. 31. ↑ Jung Typology Test. I’m still digesting these findings. Clearly it points to how much we all have in common, and how malleable, and adaptable, we truly are. 32. ↑ In 2016, we treated ourselves to experimental proof of entanglement. The math also finally worked out. We may exist in an 11 dimentional multiverse, after all. For fear of getting ahead of myself, here is a fun visualization of 10 of them. 33. ↑ Amusingly, my new home base’s internet, rather pokey. Must avoid local maxima.  Archived in Life and tagged meta-strategies, New Year, strategies. Bookmark the permalink. I took my Dad to uncle Roberts farmers market last night. We had so much fun. Such a great vibe. Thanks for sharing about it with me. Glad you two enjoyed! Plan on hitting it, and some of the rest of the Pahoa nightlife, up together in 2017. Been loving your posts of the past few months, would love to grab a coffee and chat sometime before you leave if you’re up for it! There were a few months where I actually couldn’t stand the taste of coffee. And I used to love coffee. It was weird! Tea and yerba matte, became my best friend. Interestingly, one day I woke up, and coffee seemed palatable again. Same with a cocktail. The daily habbits, simply replaced with the appropriate occasion. Catching up, definitely counts 🙂 Already traveling, so one of my upcoming bay visits. You’re on. This is awesome. I just shipped a product designed to help you stick to your goals by combining financial and social incentives (for those of us far less disciplined than you are). Curious what you think? Love the concept. Have a few concrete goals for 2017, I’ll give it a spar. We need more people to realize, learning is fun. And it’s even more fun when we do it together. Let me know what you think when you try it! Great post, Kimon. 😉 Notes 9, 32. Inspiring read Kimon, thanks for sharing. Exciting times ahead in 2017, looking forward to reading about more of your adventures! Your ukulele post helped plant the seed. 2017, learning a musical instrument! You now know a resident. Please look me up, anytime. I love reading your insightful articles, keep it coming kimon! All the best for the move and 2017 Kimon! I also had to decide b/w information and stratechery – ended up going with information but thinking of subscribing for both. Thanks Vish. All the best, to you, and your family! Not quitting social media myself, and a stones throw away. Looking forward to staying in touch. Interesting and inspiring reading, Kimon! I enjoyed your post about Standing Rock, too, and I’m looking forward to hearing about your 2017 adventures. Erica! We don’t connect on here, nearly as often I as I’d like. What a pleasant surprise 😊 You know I always had an affinity for your aspirational quotes. It’s time I live them. Yes, agreed! Perhaps I need to work on a resolution to connect and engage more. Your posts never disappoint. You should consider writing a book as one of your life experiences. Aww, thanks Steph. I actually have a friend in the process. It sounds crazy, and rewarding. May we all write books someday. Thanks for sharing. I’m interested in the yogurt experiment. What did you eat for breakfast prior and what did you eat in addition to the yogurt in the morning? I’m no stranger to food experiments (IF, day-long fasting, keto, etc) so feel free to share with the strict version. A few people have asked about yogurt a day. I’ll be honest, prior to this I drank coffee. If I fit in surfing, maybe I’d treat myself to an oatmeal raisin cookie, a secret vice. I really do like to mix things up, especially with fruit in season. Staples in my pantry: goji berries, blueberries and other fruits of the forest, almonds, tahini and chocolate. The best dark chocolate you can find (Taza has a great Mexican-style lineup.) Chocolate was considered sacred in Mesoamerica, and the Aztecs would even drink chocolate before going into battle. I like to imagine our daily routines, not so different. Thanks for sharing your impressions of some of your experiences. It takes courage to willfully change. Was listening to a podcast today about Illusion of Control and recognizing where we do not have the power to change ourselves. “Not everyone is born a runner” for instance. Glad you found that advice liberating rather than limiting.